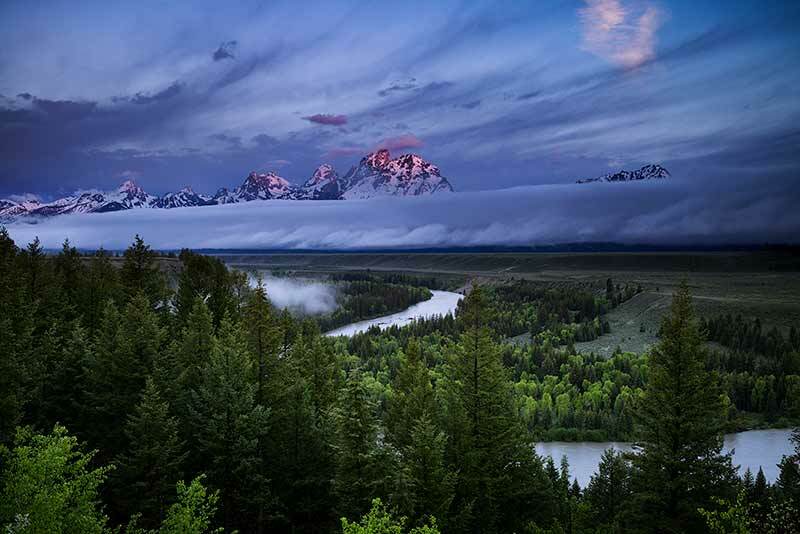 In 1942, Ansel Adams (1902 - 1984) photographed the legendary photo, "The Tetons and The Snake River", from this same exact spot. I have a copy of this inspirational photo hanging above my office desk that I purchased from the Ansel Adams Gallery in Yosemite 15 years ago. When photographing Grand Teton National Park for the first time this past spring, I was blessed to have a few fleeting moments of amazing conditions to work with at sunrise. Aside from the trees covering much of the Snake River Overlook now, I prefer my version due to the lighting condtions.